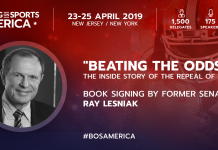 SBC Americas caught up with Continent8 to find out more about its current activities and plans for the inaugural Betting on Sports America conference where it will be showcasing its ‘first-to-market’ solutions. SBC Americas: Can you tell us more about what Continent8 does and who would be its typical clients? Continent8: Continent8 is the world’s largest online gaming data center and global network solutions provider. Our solutions are designed to support a broad range of online gaming clients, including software providers, content providers, sportsbook platforms, operators, DFS companies and e-payment providers, as well as servicing other regulated industries such as Finance and Insurance. Over the last 20 years, as regulated online gaming markets have developed across the world, Continent8 has built and managed many innovative services including the Global Gaming Exchange. This is a unique single network interconnecting all the world’s leading gaming jurisdictions, peering with leading tier 1 providers to deliver low latency and optimum performance for igaming applications globally. The Network is wrapped in our leading DDoS cybersecurity solution and deployed under a single contract and service level, delivering operators multi state agility and consistency as well as cost saving ecosystem benefits. In addition, Continent8 is serving a growing number of jurisdictions with our igaming Cloud platform. Leveraging close relationships with regulators has enabled us to help authorities evolve and embrace technology to understand the potential benefits that Cloud technology can offer the online gaming sector. This combines with enhancing the ease of access to new markets by operators wishing to utilize Cloud technology. Continent8: Since the repeal of PASPA, Continent 8 has made a commitment that it will enter into every significant regulated online gaming market across the United States. 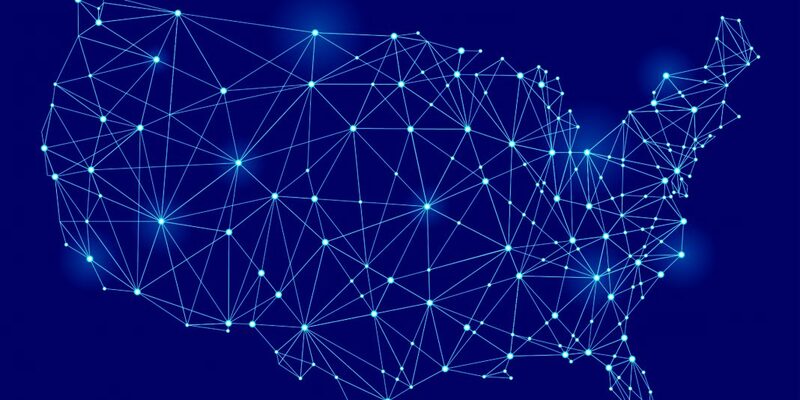 Going forward, we will have offerings in advance of any US state market opening up to online sports betting to offer an interconnected multi-state Gaming Exchange network and data center footprint. This position is demonstrated by our entry into New Jersey back in 2014, followed by rapid growth into Pennsylvania, Mississippi, West Virginia and Nevada where we have set up services to address the needs of our customers. The US market is proving spectacularly progressive for us, with a broad range of online gaming clients utilizing our data centers and interconnection capabilities across a range of regulated states. An example is the recent opening of our second data center in Philadelphia to serve client demand. This offers a fully regulated hosting environment under our PGCB interactive Gaming Service Provider authorization. A close relationship with regulators has enabled us to deploy hosting, security and connectivity solutions in advance of formal regulation and in turn offer our customers agility and speed to market in these new states. June will see the highlight of Continent 8’s US activity to date, with the exciting launch of our brand new DGE approved, independent data center in Atlantic City, operating under our CSIE licence. This will be complemented by a leading Disaster Recovery and Back-Up solution for operators to enjoy the benefits of resilience and performance, never experienced to date in Atlantic City. We will also look to deploy our igaming Cloud platform into this facility to offer innovation, scalability and long-term ecosystem cost savings, relaying confidence for clients to deploy infrastructure solutions in the knowledge that long term growth can be securely and resiliently delivered. SBC Americas: What are your plans for Betting on Sports America? What’s the message you’ll be taking to potential new customers? 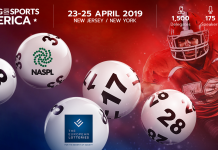 Continent8: We are very excited about Betting on Sports America! It is guaranteed to be a fabulous event for suppliers to showcase the latest technologies and innovations, alongside an unrivaled opportunity for peer to peer networking with influential online gaming industry leaders. Continent 8 will be promoting our multi-state hosting, security and networking capabilities as well as insights into our deployment progress in states where online gaming regulation is currently being discussed, thus ensuring our clients will be first to market when powered by Continent 8’s suite of solutions. Our key messaging will also be around promoting the opening of our new DGE approved Atlantic City Data Center and the advantages that this neutral state of the art facility will offer to clients in terms of cost savings and interconnection benefits. SBC Americas: Finally, could you summarize what you believe are the strengths, weaknesses, opportunities and threats inherent in the nascent US sports betting market? Continent8: The US sports market will obviously be strongly dictated by regulation. Working closely with regulators, Continent 8 has experienced first-hand the contrasting views each regulator has towards online Gaming. To this extent, it may be misleading to present as a ‘US Sports Betting Market’ when instead we will possibly see the creation of 30+ independent markets. Operationally, where regulators offer multiple skins per licence, this will drive innovation and competition, married with realistic tax rates to ensure market conditions are viable for new entrants, presenting optimum conditions for these markets to flourish. Commercially it will be interesting to see how the huge US leagues and media conglomerates influence the traditional online gaming ecosystem. 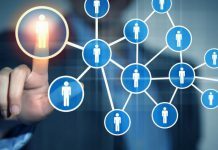 Operators will likely play a niche service provider role within these partnerships, something we have not seen to date in any other global jurisdiction. We have found regulators’ understanding of licensee’s technology and infrastructure requirements differs greatly. This will likely evolve to form a more consistent view but currently can add complication, delay and costs to clients entering a new state. Partners who can alleviate all these vagaries from state-to-state in order to offer consistency to multi-state operators are likely to see early advantage.